Sad to say, the weather isn’t working out, so we’ve decided to cancel the ride portion for this evening. 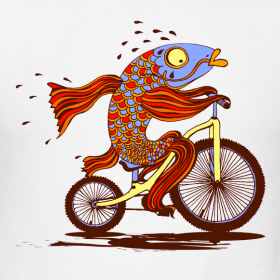 We’ll still be having dinner at Hagemeister Park at 7pm, so come on out and have a fun Friday Fish Fry with your fellow bikers. Note: I’ve updated the event time and location below. When: Friday, March 15th, 7:00 pm-? Where: Meet at Hagermeister Park for dinner, and stop at one or two establishments after dinner. Details: Dress for the cool weather. We will most likely be crossing some busy streets, so be visible. In the event of inclement weather, we’ll just meet for dinner.